The East Garage on the campus of the University of Houston is the first of six proposed garages. 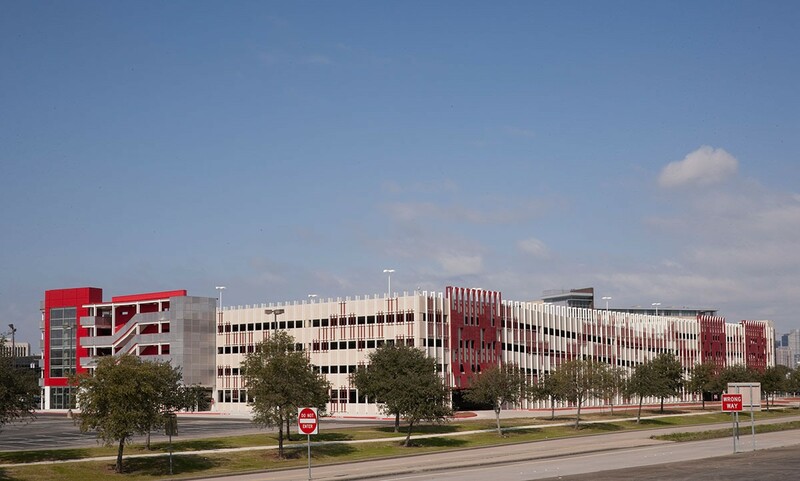 This parking facility is strategically located at the main entry points to the campus between Calhoun Street and Spur 5. 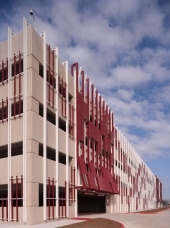 The structure has separate student and faculty entrances and houses parking for the Calhoun Lofts and the Bauer College of Business. 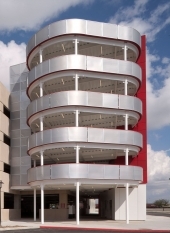 The architectural addition to the garage was designed so that it could be utilized as a framework for signage and a video board. 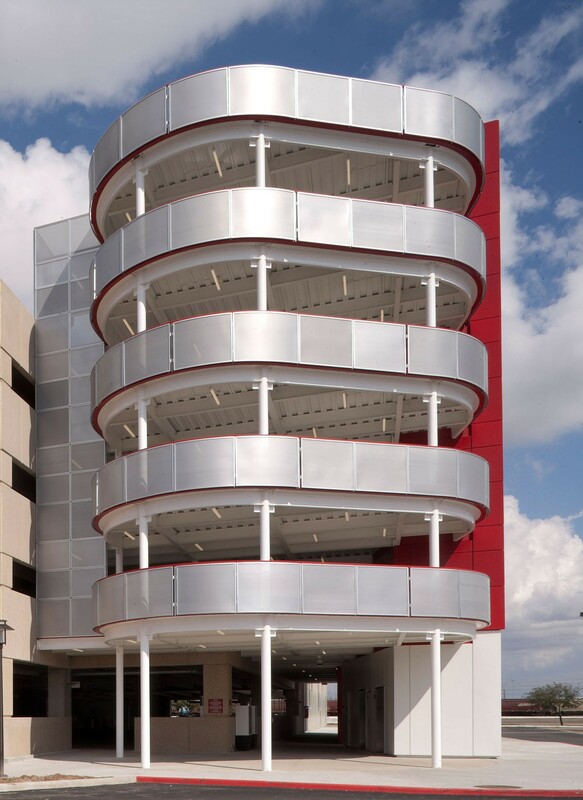 The East Garage was by its very nature a “functional” project, procured through the Design-Build delivery method, with emphasis on achieving an attractively low price. But this did not equate to abandoning a symbolic component. We observed several levels of symbolism at work in the campus morphology – choosing one of appealing to the spiritual symbolics as most appropriate for the garage. 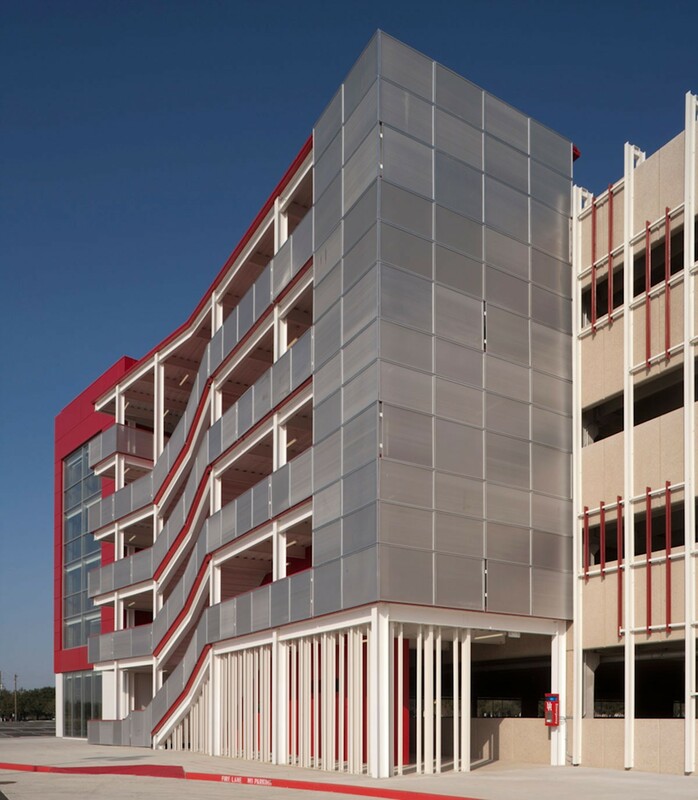 Given the budget driven delivery method, we could not foresee having enough architecture to camouflage the pre-cast, as we could not count on the quality of materials nor could we re-code the DNA of the garage itself. 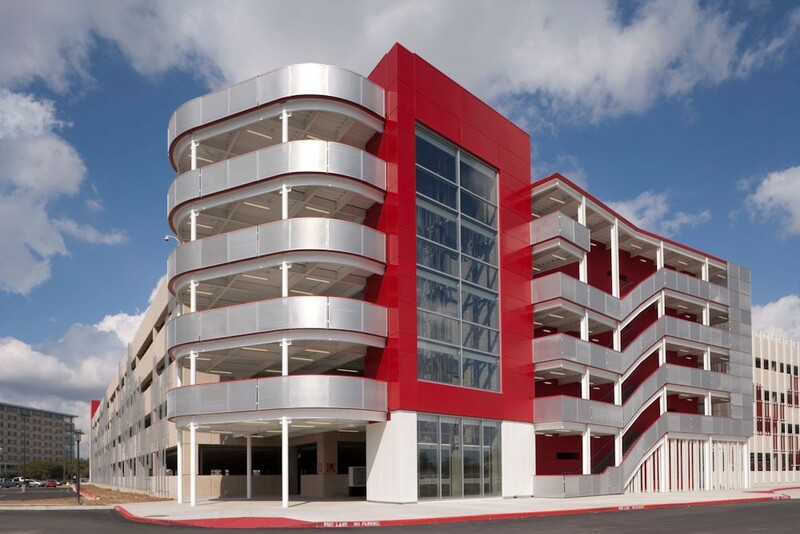 Our skin, composed of structural fiberglass members typically used for offshore oil rig applications, acts as a kind of campus branding machine, more aligned with the campus insignia / sense of spirit than with attempting to act as a garage in classroom building drag. 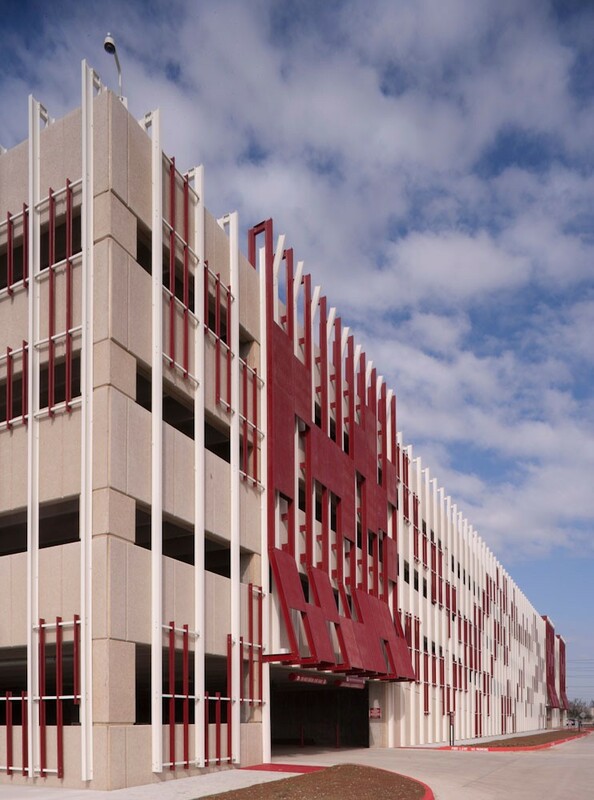 Obtaining more to pattern than composition – a Mondrian-esque hierarchy still allows for basic way finding clarity and registration of campus wide circulation cues.